Are you looking for ways to attract families to your rental property? We’ve gathered 5 proven and cost-effective ways you can do that. 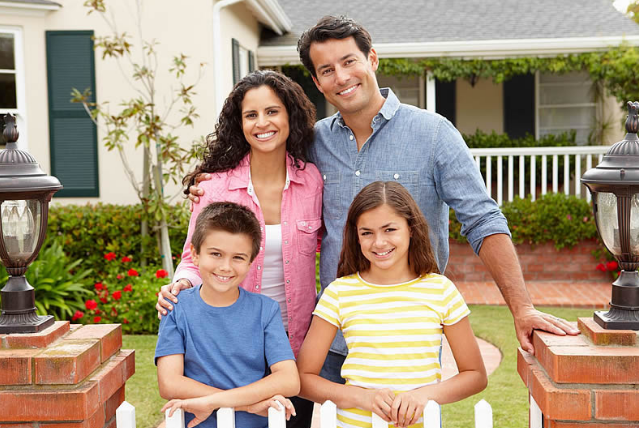 These tips will not only guarantee you have families checking out your property, it will also enable you to get them to rent the property while you spend only a few bucks in promotions. There are some perks to having family in your property. When a family rents your property, they tend to be more stable and more financially capable than bachelors or single tenants. Moreover, the probability of renting your property to those that will use it for illegal activities is less when you give it out to a family. Before you begin to promote your property as a family-oriented, ensure it is ready for a family. Safety is among the top priorities of every parent. They want to ensure they keep their family in a place where they will be safe to go out and come back anytime they like. No family will consciously stay in a crime-ridden neighborhood. Show the parents that it is safe to raise their children on the property where your property is located. Install Security Systems: Get professionals to help you install security systems. This will boost your property value and safety. You can as well hire a security personnel or doorman. Proximity to Police Station: If your property is close to a police station, ensure that you use it in your promotion. Crime Rates: Check the city record for the crime rate in your neighborhood, if it is positive, let your clients know about it. Kids-safe Street: can the children play in the street safely without being run over by fast moving vehicles? Additionally, make the backyard safe with fencing. Community Watch: If you have an active community watch in your area, ensure that your potential tenant knows about it. One of the most important things to a family is access to some important amenities such as school, hospital, police station, grocery stores, restaurants, and bus station. If your property is located close to these amenities, make sure that you tell your potential clients about it. A great way to show this is to include the Walk Score of your property. Walk Score is a statistics that is provided by WalkScore.com. It shows how close or far your property is to restaurants, hospitals, police stations, and other amenities. Before using WalkScore to promote your property, ensure your score is above 70, otherwise forget about it. If you are looking forward to having a family rent your property, you might need to consider allowing pets on your property. It is a great way to make your home stand out among others in your location. Most children are attached to pets such as dogs and their parents are usually willing to pay more rent for a house that allows a pet. If you are worried about the cost of cleaning the home after a pet has lived there, you can go ahead and charge the family a pet deposit, this will help you reduce the cost of cleaning and maintenance. Most families don’t like to be confined to their home; they need a space to grow in – A space where children can play with one another and with their pets. If your yard has enough space for children, families will love to stay in your unit for a long term. If there is an extra garage space, convert it into storage for outdoor toys. Make a space for bikes and consider planting some flowers. Most families won’t mind paying extra to rent a property close to the best school districts in your area. Again, you will also have more success in attracting families if your property is close to places such as park and where there are kid friendly activities. Check for daycare, miniature golf course, theater or an amusement park that is accessible to your property and make use of them in your promotion.